-1930s Quote from Yankee Magazine describing the spring dance floor in the Ballroom at Exchange Hall. 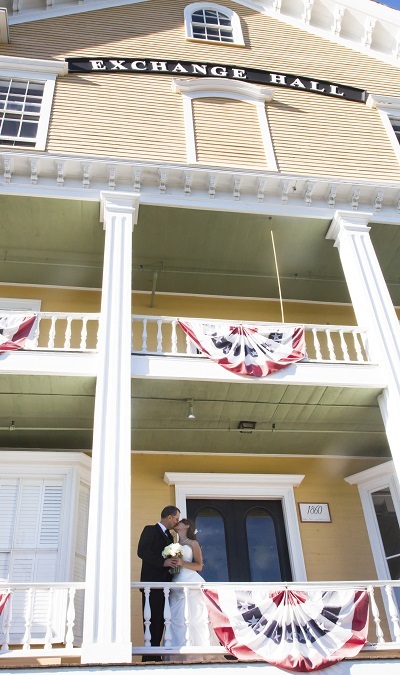 Exchange Hall invites you to celebrate your next social event at our historical hall. We are dedicated to making it a day you’ll never forget with memories that will last forever. Located in the South Acton Village historic district, Exchange Hall is listed in the National Register of Historic Places. The building was originally a general store, function hall and community center. 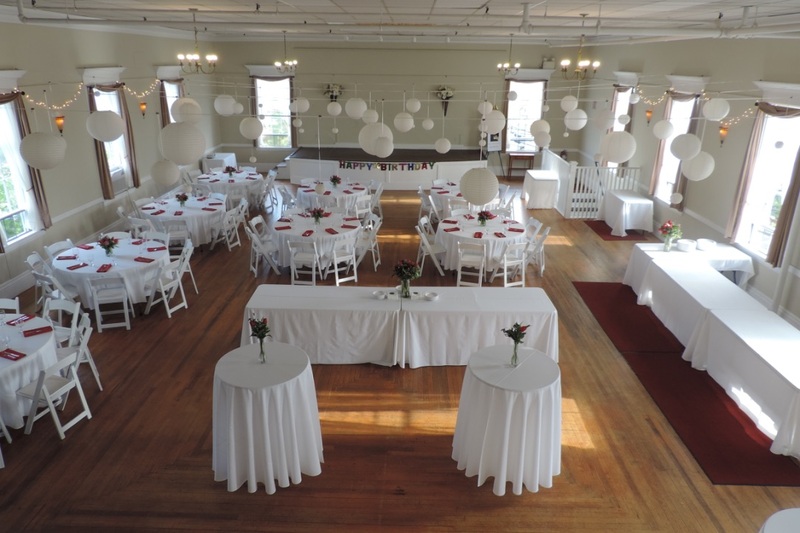 Exchange Hall continues the tradition of offering the hall for private and public social events in the historic Ballroom, featuring seven-foot tall windows and a fourteen-foot high ceiling. The large windows fill the room with natural light accentuating the high ceiling and beautiful floor. 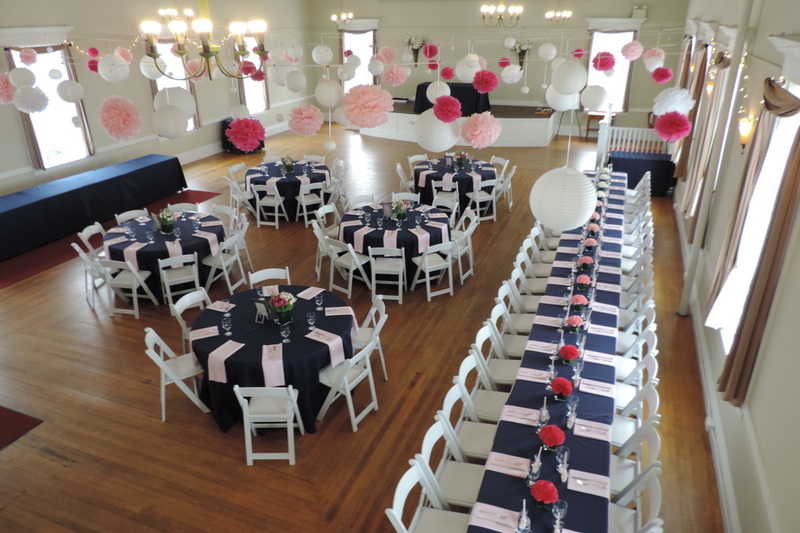 When planning a wedding, bar or bat mitzvah, anniversary, birthday party, dance, fundraiser, class or special occasion the Ballroom and the Victorian Room are available to rent. Please contact us to learn more or to schedule a viewing of our facilities. We’ll be happy to show you around.